On Friday 11th May, BitMart a cryptocurrency trading platform announced the listing of Vechain [VEN] on their trading platform. BitMart has announced two available trading pairs: Vechain [VEN] /Bitcoin [BTC] and Vechain [VEN/ Ethereum [ETH]. The depositing and trading of VEN is now possible on BitMart. They also announced free trade on VEN till 1st June. BitMark also mentioned that more trading pairs will be announced soon. 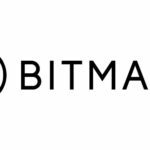 BitMart is a cryptocurrency trading platform with particular listing criteria and the local rules and regulations in areas in which they operate. They have mentioned that they are strictly enforcing criteria to make sure that the projects that they introduce to their users are innovative, safe, and secure. Vechain has qualified the various criteria of standard put forward by BitMart. They have taken a great deal of time and effort to enhance their own compliance review system. VEN is promoted and structured as the utility token, not a security token. VEN is currently comfortably trading in the 15th position in the market with a total market capitalization of $2.6 Billion. The bulls have been pushing the bears for steady upward movement for VeChain in the market. VEN is priced around $4.95 at 4:30 PM UTC with a growth of 5.32%. VeChain is aiming for massive adoption by forming major partnerships and developing their own system. PwC Ltd and VeChain join together to develop the new VeChain main net. The users of VeChain and investors are awaiting the launch of VeChain’s main net since the beginning of the year. The expected release is to be announced at the end of the June 2018. The post VeChain [VEN] available for trading on BitMark appeared first on AMBCrypto.